Bill Armstrong is a trial lawyer specializing in complex scientific matters, real estate and land use law. He has experience with computer communication, technology issues, issues of medical and chemical causation, and material science. He has tried over 80 product liability, toxic tort and commercial cases over the past 45 years in federal and state courts primarily in California, as well as in Louisiana, New York, Ohio, Pennsylvania, Virginia, and Washington. Those cases have involved issues of antitrust law, asbestos state-of-the-art, contract law, various environmental laws, lenders' liability law, maritime law, partnership law, product liability law, real estate law, securities law, and tort law. In the course of those trials, he has worked with, examined or cross examined experts in the fields of aircraft manufacturing, almond production, automobile design, cardiology, chemistry, clinical ecology, economics, epidemiology, fine arts printing, fruit handling, hematology, immunology, industrial hygiene, internal medicine, neurology, neuropsychology, obstetrics & gynecology, oncology, pediatrics, pharmaceutical research, psychiatry, pulmonology, radiology, risk assessment, rubber products manufacture, Savings & Loan regulation, statistics, toxicology, and viticulture. Bill has also managed mass tort litigation, including the representation of an asbestos manufacturer in San Francisco Bay Area litigation involving several thousands of personal injury and wrongful death cases (late 1970’s through 1985) and of one of the defendants in the personal injury litigation in Riverside County, California, arising out of the claimed exposures to toxic materials from the Stringfellow Hazardous Waste site, involving over 5,000 plaintiffs. Bill co-chaired the Defendants’ Coordinating Committee in that litigation and participated as trial counsel for six months of trial, until the matter settled. He has also assisted with the defense of the Lockheed personal injury litigation in Los Angeles County, involving approximately 600 plaintiffs, was the lead trial counsel for one of the trial groups (1997), and assisted in the trial of another group (1998). He is an author of the CEB text "Effective Introduction of Evidence" (1990 & 2d ed. 2000), and the editor for its annual updates since 1990, and various articles including "Tort Damages for Injuries Not Yet Suffered" (ABA Section of Natural Resources, Energy, and Environmental Law 1992), and “Security in Electronic Communications and Protecting Electronic Documents in Discovery” (Seminar presentation, June 1995). He received his bachelor's degree from Stanford University in 1964 and his law degree from Stanford Law School in 1967 where has was a member of Stanford Law Review. He served in the U.S. Army 1968-1970. 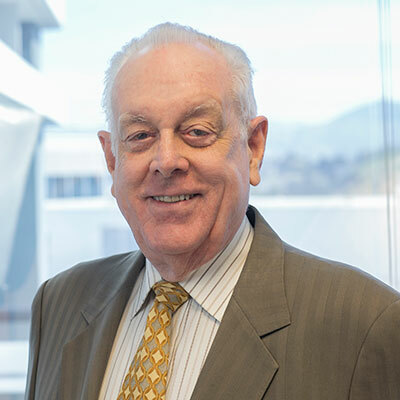 Mr. Armstrong joined McCutchen, Doyle, Brown & Enersen in 1970 and was a partner there from 1975 to April 1996, when he formed the predecessor to Armstrong & Associates, LLP. In 2017 Armstrong & Associates, LLP merged into DeHay & Elliston, LLP. He served on the Walnut Creek Planning Commission (1974 to 1976) and City Council (1976 to 1981), and was mayor of the City of Walnut Creek from 1980 to 1981. Since 1980 he has been a member of various charitable boards and fundraising committees for arts in Contra Costa County. He currently serves as President of the Board of the California Symphony Orchestra. Bill was a member of the Board of Visitors of Stanford Law School from 1991 to 1995, is a member of the Stanford Law School Advisory Committee on Environmental and Toxic Tort Law, has taught in the Law School’s Trial Advocacy Workshop and is a regular guest lecturer in the Toxic Harms seminar.